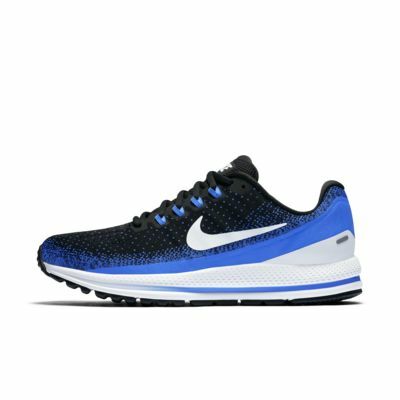 It’s a little bit heavy as compared by the Pegasus shoe however it’s the most comfortable and cushioned shoe you will buy. I've had these for about 5 months. I noticed immediately that my endurance decreased after rotating out of the Epic Flyknit II which were my all time favorites. I only got these because the Epic React had all girl colors for men. Also, the bottom of the shoes are all worn and the front rubber part is dislodging and I only run 9 miles per week. I'm just dissatisfied. I’ve had Vomero 10’s, 11’s, 12’s, and now 13’s. In reading reviews I was concerned that my favorite running shoe had lost its mojo. However, after trying them on in the store and subsequently buying them. I must confess that these just might be the best Vomero’s yet! I mean I freakin love these shoes! So comfortable I have zero pain! Keep up the great work Nike!